Eddie grew up in San Diego, where he spent his teenage years as a professional BMX Freestyle rider. Next came a career in action-sports video production followed by eight years working as a photojournalist for a Christian missions agency in Sudan, Pakistan, Indonesia and many other third-world countries. Eddie currently works in Christian television. Eddie became a Christian in 1992, and for most of his Christian walk he struggled with the fears and awkwardness associated with evangelism. As a result, he was not sharing the gospel with anyone. In 2009 God changed his life and now Eddie is an active evangelist, leading outreach teams and explaining the cross of Christ to people on a regular basis. One verse that continually motivates Eddie to reach out to the lost is Romans 6:23: For the wages of sin is death, but the free gift of God is eternal life in Christ Jesus our Lord. 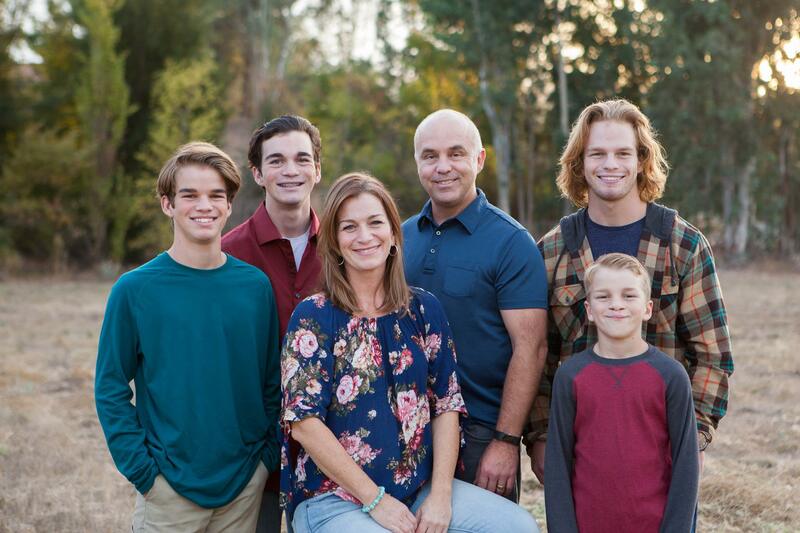 Eddie lives in the beautiful metropolis of Wildomar with his sweet wife Carri and their four sons, Jesse (’98), Matthew (’01), Daniel (’04) and Christopher (’09).